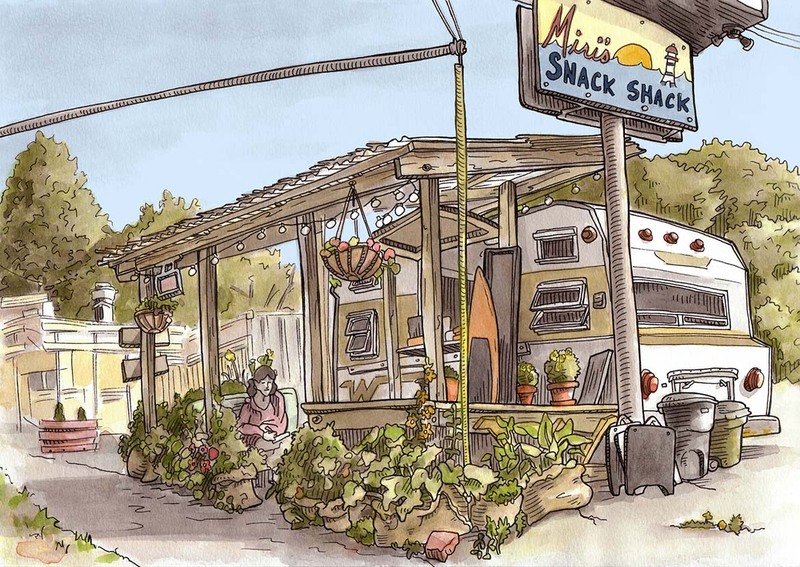 I drew this little coffee/dessert stand when it was called Camelita's on Shilshole during a Seattle Urban Sketchers meet-up a couple years ago (?). On a bike ride yesterday I saw it had changed owners and name so I set up my stool to draw it again. That's Donna drawing a comic in the shade of the awning.